1. In Hungerford, Quintons are instructed to market a warehouse / light industrial premises which totals 5,140 sq. ft. The space includes offices and mezzanine storage, eaves height of 5.6m rising clear and parking and loading to the front. 2. We are instructed to market workshop and Yard space at Bashfords Yard, Bone Lane, Newbury. The workshop totals 1,622 sq. ft. and includes two access doors. The Yard totals 0.22 acres with a small building. The space can be split. Rents start from £5,000 per annum. 3. On the office front Quintons are instructed to market 2 Station Yard, Hungerford. The offices total 2,500 sq. ft. and include 12 parking spaces. 4. We are instructed to market light industrial space at Unit 23 Turnpike Industrial Estate, Newbury. The space totals 2,109 sq. ft. The unit is available £15,850 per annum. 5. Also in Hungerford we are instructed to market 48 High Street. The space is available as a whole or in two parts. The space can be used as retail or office both including sales/ works space, kitchen and WC. There are two parking spaces available. 6. In Membury, near Hungerford, Quintons are instructed to market one / two light industrial units. The property as a whole totals 5,777 sq. ft. and is available from 2,777 sq. ft. upwards. The property includes offices, eaves of 5.5m rising clear, parking and yard to the rear. 7. 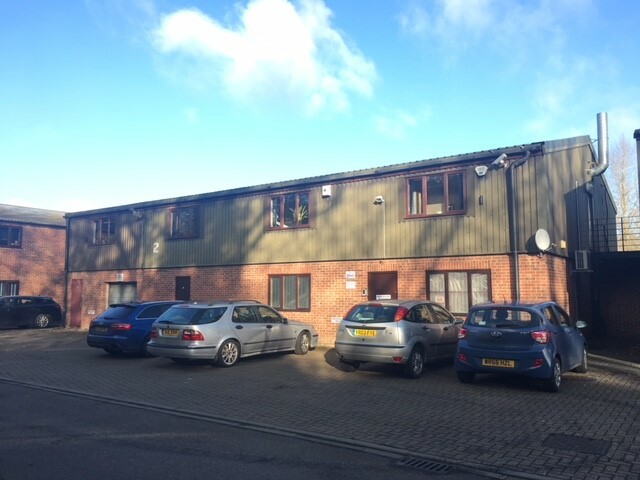 In Thatcham, we are instructed to market 10a Bath Road on a freehold and lease basis. The property, formerly occupied by American Golf is available to use as retail, trade counter, car wash, workshop or car sales. The space totals 3,508 sq. ft.
9. In Newbury, we are instructed to market trade counter / retail space / Vets at Greenham Road, Newbury. The space totals 3,742 sq. ft. which is available as a whole or in two parts. The space includes large display windows and 10 parking spaces. The property is opposite Burger King, Halfords and Staples. For full details or further information on any of our commercial properties available for sale or to let please contact Shane Prater or Tom Price on 01635 551441.